"The belief in and worship of a superhuman controlling power, especially a personal God or gods." "A particular system of faith and worship." "A pursuit or interest to which someone ascribes supreme importance." Well, that could apply to almost anything we care about, and the word "supreme" here is used as an adjective, and does not imply a supreme being. So there you are. Since can assume that I have an opinion here, what do I think Buddhism is? Buddhism is nothing more than its founder, the Buddha, pointed it out as being, a method for developing awareness, what has been termed the "dharma." Being nothing more than a methodology, the dharma could be a useful addition to any religion. Many people learn Buddhist mind-training methods while practicing their own religion. Mind-training is just simply useful, a method for increasing awareness. In Buddhism, the hallmarks of most religions cannot be found. Buddhism is non-theist; there is no god or creator. The Ven. Chögyam Trungpa Rinpoche defined non-theism as "No one is going to save you." We have to each enlighten ourselves and all these methods came from a human being just like you and me. Also, there are no seven days of creation. Buddhism has no big bang or beginning, and it will never end. It is like a big ball of string without ends in it. Of course these Buddhist mind-training methods have become important as a way to a more aware (enlightened) life. And around these dharma methods has grown up a whole system for preserving those dharma methods so they are not lost, not to mention generations of authentic practitioners who successfully preserve it by realizing it. However, if we take the robes off, actually what is sacred, anyway? The dictionary says sacred is anything worthy of spiritual respect. OK, then what is "spiritual?" Spiritual is then defined as anything that relates to sacred matters, so we have a Catch-22, and are going in circles. I will say that the dharma is personally sacred to me and has earned my respect. It pretty much defines my approach to spirituality and I do believe in its effectiveness, but that belief is not the same as believing in god or anything even close. What all this points out to me is exactly what Buddhism's founder, the Buddha, pointed out, that we have ignored the true nature of our own mind in favor of distractions and the accumulation of obscuration that the need for methods to develop greater awareness have assume almost biblical proportions, pun intended. That is how much we need awareness. Well, Buddhism is the science of awareness, but when its methods are fully implemented, Buddhism does lead to what amounts to "spiritual" conclusions that are anything but "scientific," or is it time to redefine science to include spirit? In that case we might have a science of spirit. I won't say a "science of the Spirit," because some of you would no-doubt interpret that as the great "Spirit in the Sky," and we are back to square one. The dharma methods of developing awareness transform all of our ordinariness (obscurations and everything we are distracted by) into a more sacred (precious) world in which we then get to live. It is a true inversion, turning everything inside-out, and revealing a silk purse when we thought we had a sow's ear, to use that old chestnut. 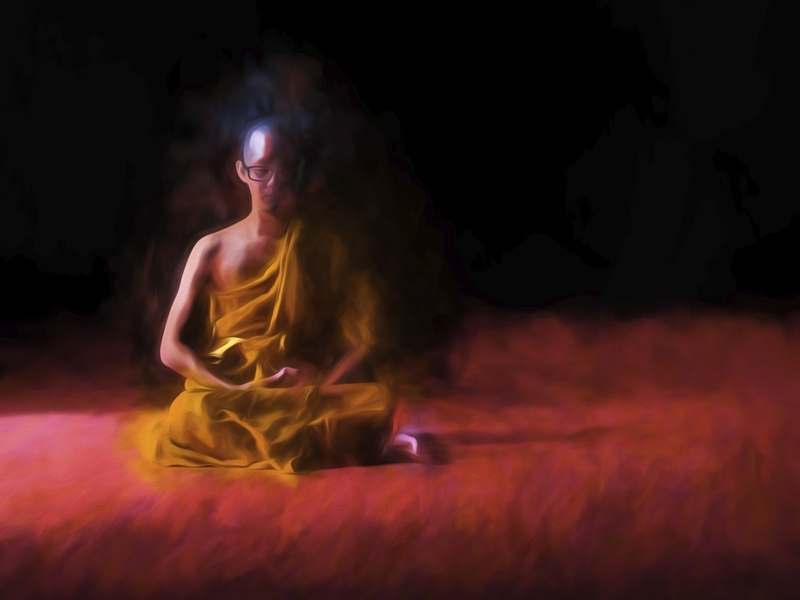 In my opinion Buddhism offers even more than any religion I have heard about, a way of consecrating and transforming the ordinary into the sacrosanct, deriving the sacred from the profane, like rendering gold from ore -- spiritual alchemy. To me Buddhism never was a religion, but I do feel religious about it. If religion is defined (which it is) as the things that last, then these Buddhist mind-training methods are something that will last. They have lasted. "Don't leave life without them!"